Self-service kiosks can be programmed to offer upgrade opportunities and smart pairing choices with every transaction. The retail universe is starting to resemble a science fiction movie; as technology evolves at a feverish pace, the presence of everything from delivery drones leaving warehouses to customer location beacons on the retail floor is changing what it means to sell products to consumers. But it’s self-service kiosks that are proliferating the fastest – and having the most tangible effect on the customer experience. For sure, there’s an argument to be made for deploying self service kiosksin retail. 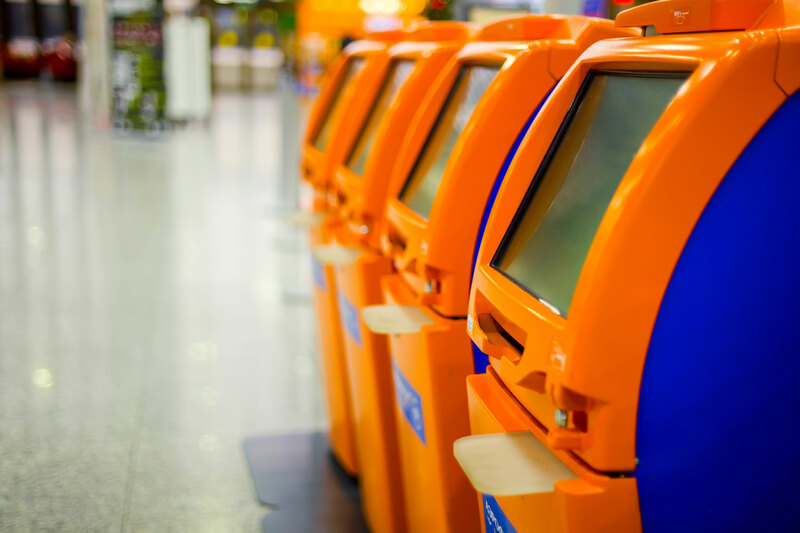 As we’ve said before, there are real benefits for businesses to adopt customer kiosks. But perhaps somewhat less obvious is the fact that the mere presence of these technologies is changing consumer behavior as well. Data shows that your customers will embrace self-serve terminals and change up the traditional dynamic you have with them. Perhaps the most important change, for example, is that customers spend more money when they can place their own orders. At least one large retail chain, for example, has found that customers spend 20 percent more at the checkout when they have an opportunity to self-serve. There are a number of reasons why this is the case. When placing food orders, for example, it’s simply easier for a customer to customize an order – adding extra ingredients, toppings, and sides – when they can tap a screen rather than explaining the details to a harried (though perhaps pleasant) server. Taco Bell, for example, has seen exactly this behavior, with customers at their kiosk ordering systems adding custom ingredients significantly more frequently than when in line for human cashiers. And these extras, of course, goose the bottom line of the customer’s bill. But that’s not all. There’s also no fear of social judgement. Do you want double beef or an extra-large soft drink? Customers who might be disinclined to initiate their own upsell like higher calorie ingredients or adding a desert because they’re self-conscious about the details of the order can do it in privacy when interacting with a touch screen. And speaking of upsells, self-service systems can be programmed to offer upgrade opportunities and smart pairing choices with every order; even the most diligent servers can’t be expected do to that with every customer. And that’s not all. We’ve even seen that customers behave more boldly with self-service systems. Specifically, people are more willing to order products with foreign or difficult-to-pronounce names, breaking out of their comfort zones and trying products that they ordinarily would avoid. Why? Once again, there’s no social stigma – and this time it’s the fact that customers don’t suffer embarrassment by trying to order products they can’t pronounce, but rather simply get to select it from a touch screen. Indeed, one university study found that customer selection of these kinds of products increased by over 8 percent when dealing with electronic self-service systems. The bottom line is that self-service kiosks are liberating technology for customers, enabling them to order more and more diverse products without feeling constrained by human servers and cashiers. And that’s a benefit that doesn’t just accommodate customers, but pays dividends for businesses as well. Find out how an IoT platform like Canopy can provide help with your self-service kiosk network in addition to other features such as digital signage and unattended device management.